Hi friends! 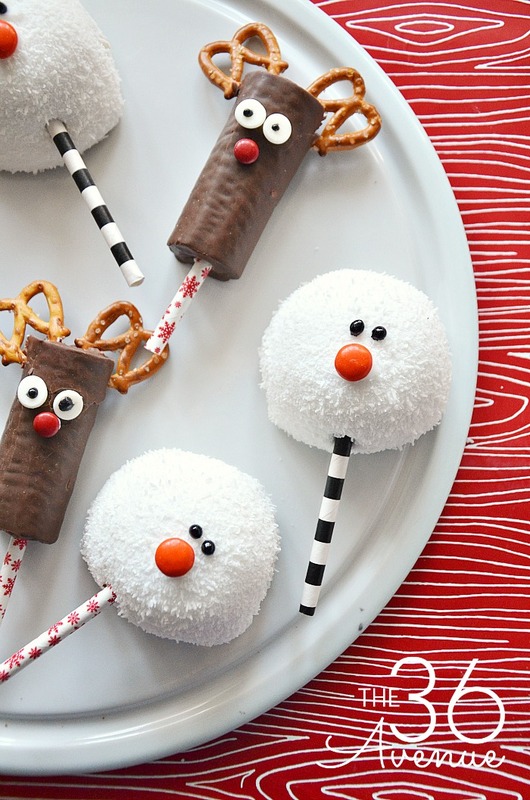 Today I’m sharing two super cute Christmas Treat Ideas that will make the most adorable Christmas Dessert and is also perfect for class parties! 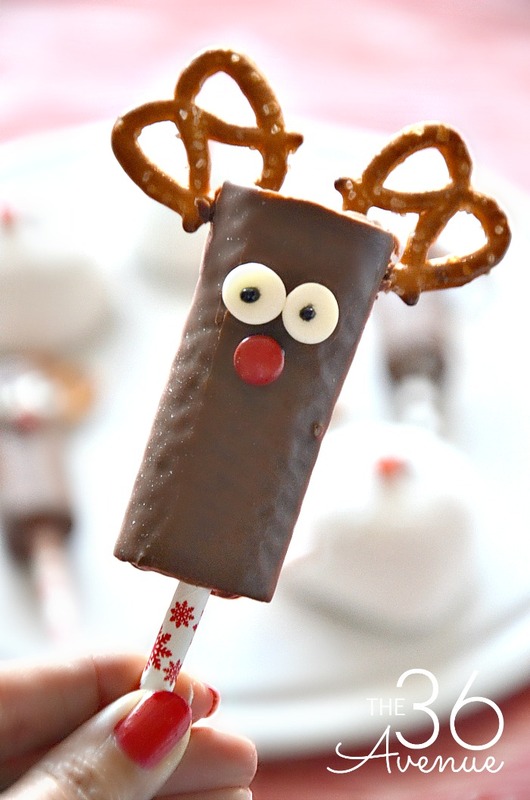 This is a Christmas Kid Craft and an easy snack idea all in one. 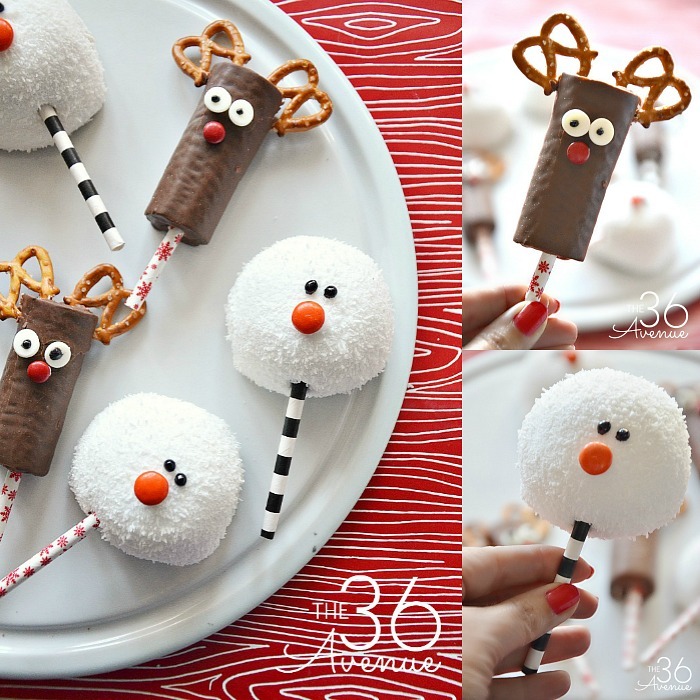 My kids love to make these Reindeer and Snowman Treats and they also love to eat them. 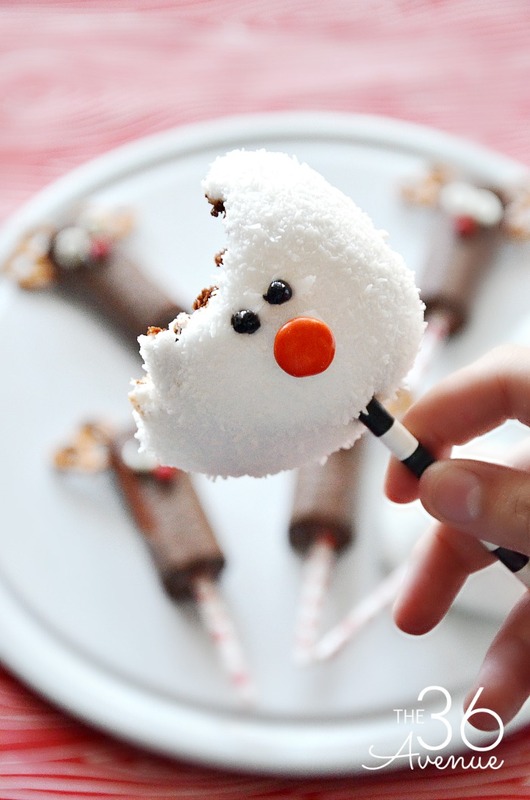 All you need are a few ingredients and in less than a minute you’ll have the most festive and adorable Christmas Dessert ever! ©the36thavenue.com DO NOT COPY, SAVE, OR PASTE THIS COLLAGE IMAGE. HOW TO MAKE A REINDEER! Cut two small slices on each side of the Swiss Roll and place one pretzel on each side. Press the pointy side of two white chocolate chips into the Swiss Rolls to make the eyes. Use black gel to make the dots for the eyes. Use a little bit of white frosting to glue a red M&M to make and keep the nose in place. Cut a paper straw in half and press it inside of the Swiss Roll. 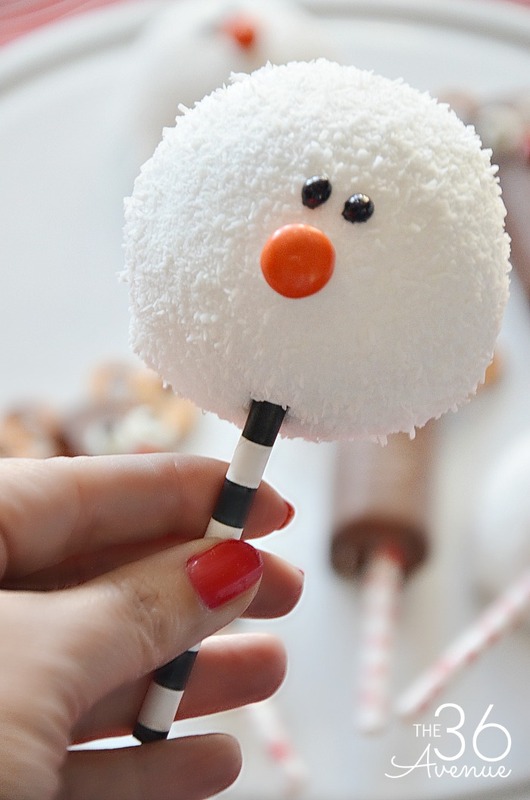 Use white frosting to glue an orange M&M to a Sno Ball. Use black frosting gel to make the eyes. Cut a paper straw in half and press it inside of the Sno Ball. Watch the video and make sure to follow us on Facebook! 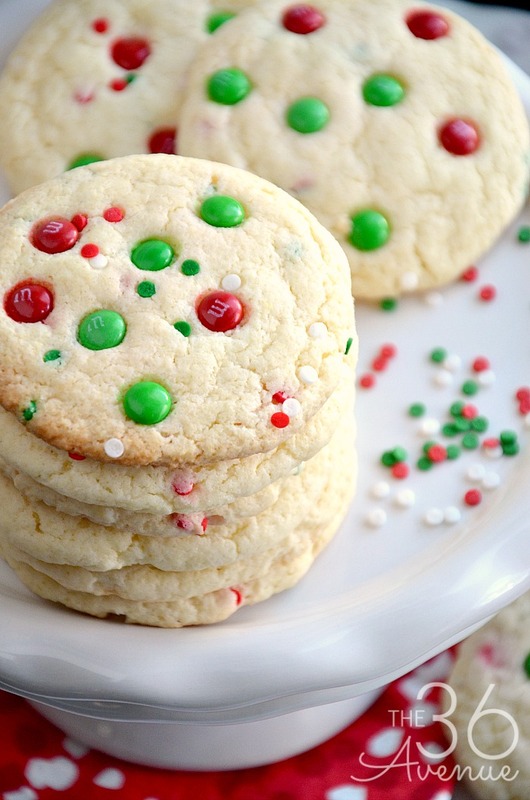 Here are some other Christmas Recipes and Ideas that we love! These are super cute and seem so easy to do!! My kids would be so excited to see these for the Holidays.